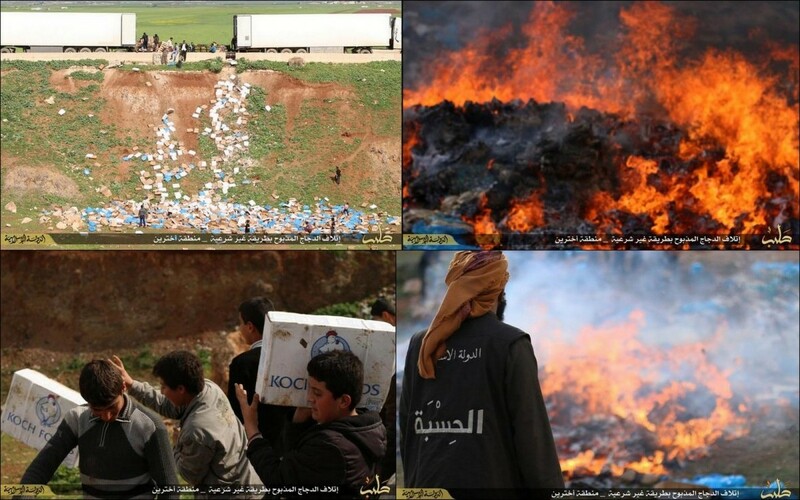 The Islamic State militants burned the boxes of chicken, claiming it was slaughtered in an un-Islamic way. At a time when millions across Syria are going hungry, the Islamic State (Isis) destroyed hundreds of boxes of US-made "halal" chicken meant for the refugee camps. In the photo report, Isis fighters as well as children are seen throwing boxes labelled "Koch Foods" into fire in Aleppo region. 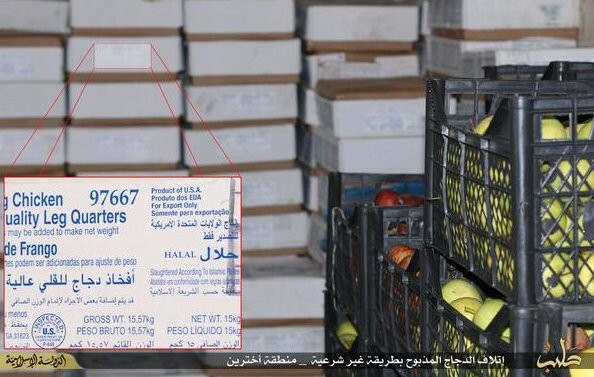 The boxes shown in Isis' photo report bore the logo of Illinois-based Koch Foods and was clearly labelled as "halal" meat - which means "slaughtered according to Islamic law". This incident has irked many on social media, especially as millions of Syrians are living in abject poverty, plagued by hunger. The situation in Syria is dire as more than 12 million people in the country are in need of humanitarian aid with the civil war in the country entering its fifth year. According to a UN-backed report, the crisis in Syria has plunged 80% of its citizens into poverty, reduced life expectancy by 20 years, and led to massive economic losses that have been estimated at over $200 billion. Death to the infidel chicken! #Syria|ns are starving, and #ISIS is bragging about destroying U.S. chickens. Fave story today. #ISIS: Never mind the starving Syrians; Death to the infidel chicken!